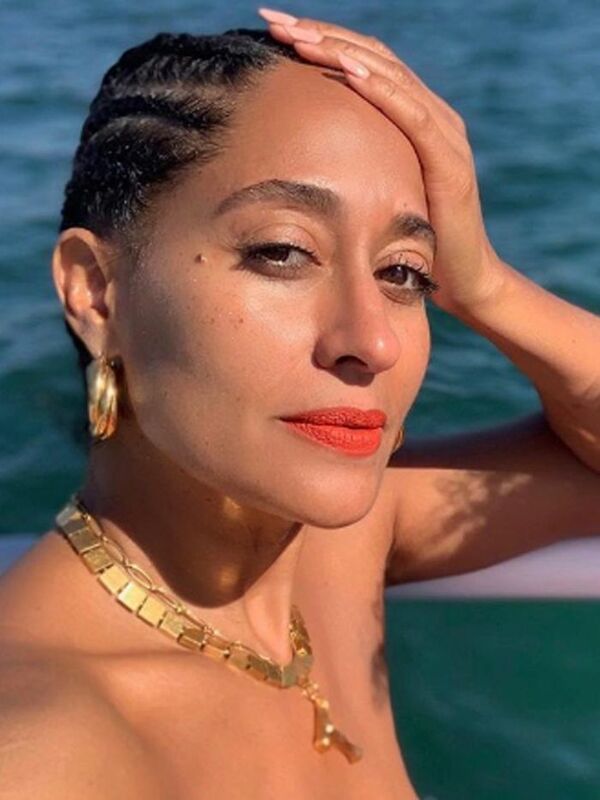 There are certain beauty products that I've always kept in my fridge: Nail polishes (I've heard that it keeps the formula from drying out), eye masks (because they feel so much better when chilled) and my dermatologist-prescribed acne cream (because, well, you have to), to name a few. Aside from that, you'll find the rest of my beauty products in either my bathroom or bedroom. 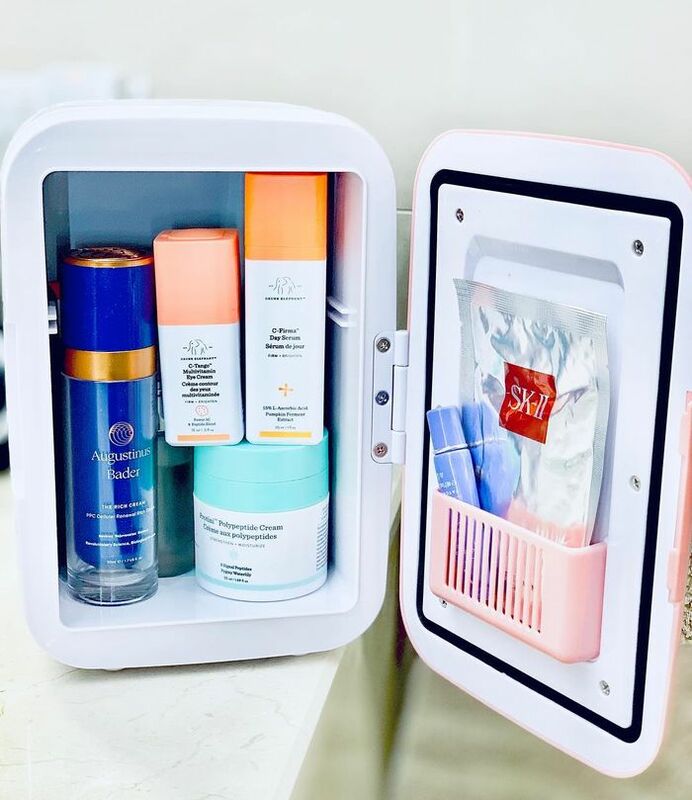 Head to Korea, however, and you'll find mini makeup fridges in the homes of any woman who's even slightly into beauty products. 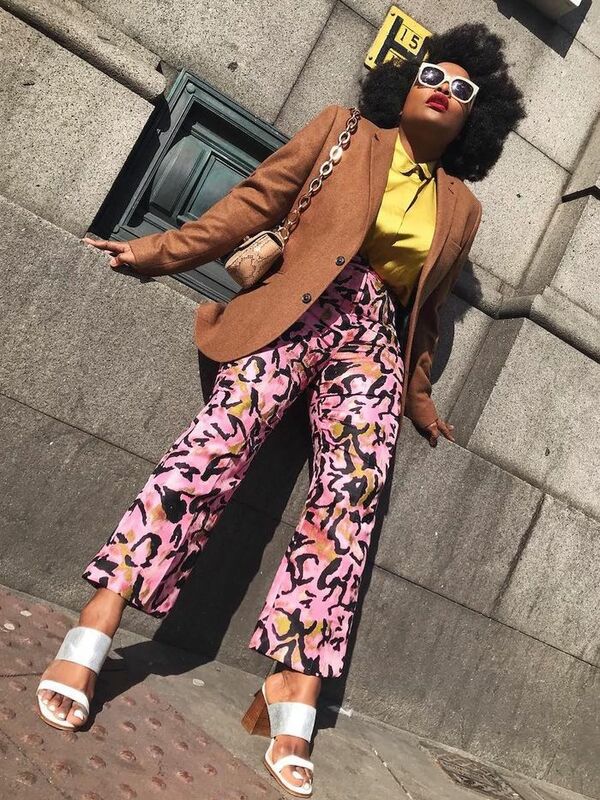 Last year, they hit the mainstream in the West too, with mini fridges launching (and selling out) at Nordstrom and beauty influencers taking to Instagram in droves to sing the praises of beauty refrigeration. But is there any actual benefit to keeping your skincare products in the fridge? It turns out, yes. Patricia Boland, skin specialist and lead product developer at Colorescience UK, decodes the beauty refrigerator craze and shares the skincare six products that you should move to your fridge right now. "Alongside the feeling of a chilled product on your skin, a product that's been refrigerated will always be that much more effective at de-puffing and boosting the circulation compared to a room temperature one," explains Boland. "Once products get exposed to air, they also get oxidised. Refrigerating slows down the oxidation process and keeps them from becoming inactive." We know that skincare fridges have been huge within the K-Beauty scene for a long time now, so why is it only now that the trend for keeping your skincare cool is moving to the mainstream? "With the rise and rise of natural skincare brands like Lush and Tara Harper making their products in smaller batches and often without the use of chemical preservatives, refrigeration is a necessity," explains Boland. In fact, keeping your skincare in the bathroom like I do might not be the best thing. "The change in room temperature when you shower can alter the potency of your products," she says. In contrast, by keeping your products in the fridge you might actually boost their efficacy. "Cold skincare helps to stabilise the actives, soothes and calms irritation in the skin… and helps to tighten the skin whilst refreshing [it]." So should we all be rushing to store our entire beauty stash in our fridges? Not quite. According to Boland, there are six key types of products that would benefit from being kept cool. "Sheet masks, face mists and serums are all suited for the chill and help with de-puffing. They will also help to boost radiance, bring down swelling and soothe the face after a facial or laser treatment," Boland says. It's also important to think about the types of formulas you use, as "natural skin products [and] anything containing vitamin C will benefit from the preservative power of the cold." The final product is actually a skincare tool. "A facial roller can help boost lymphatic drainage for a more sculpted and a firmer feel to your skin when chilled," Boland advises. But while some skincare products will definitely benefit from being kept cool, Boland pointed out that there are some products that should be kept well away from your fridge. "Makeup won't show any benefits from being refrigerated and can also become harder to use," she advises. "Any liquids like oils and solids like balms may separate or become too solid, so it's best to keep hem at room temperature. Fragrances will find a fridge too cold but steer clear of keeping them near the sun or in your bathroom." Keep scrolling to shop some of my favourite fridge-friendly skincare products. Packed with peptides and skin-soothing actives, this lightweight mist enhances your skin's natural barriers to protect against pollution and daily stresses. Slather this natural hydration mask on when you want dewy skin fast. It's enriched with beeswax and antioxidant seed oils to plump and smooth the skin and provide quick-fix radiance.